Trade-in your van or light commercial vehicle for the best price! Are you planning to sell your van or light commercial vehcicle? 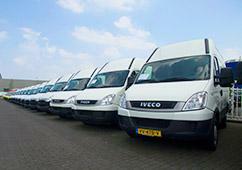 BAS Vans is always interested to buy your commercial vehicle. Vehicles of any brand & age are welcome; we'll give you a quote within 24 hours. Please fill-in a "trade-in form" detailing what vehicle you would like to sell or trade-in. One of our support staff will contact you within a few hours. Alternatively, drop by our showroom in Veghel to get an immediate quote! Step 1: Fill-in the "trade-in form"
Click the button below saying "Trade-in my vehicle" and enter the specification of your vehicle. We'd like to ask you to include a few pictures of your vehicle as well. Filling in the form only takes 5 minutes! Have you submitted your "trade-in form" before 1500h Central European Time (UTC+1) with full vehicle data and photo's? You'll receive an offer the very same day. Once we have agreed on price and sign a buying agreement, we'll quickly complete the neccesary paperwork. If we have agreed on the trade-in of a vehicle, you can drop off the respective vehicle when you come and pick-up your newly acquired van / light commercial vehicle. We're also willing to come and pick up your vehicle free of charge, subject to maximum distance from our offices in Veghel. You can also refer to our customer service section for frequently asked questions. BAS has a vast worldwide network of suppliers and many years of experience in buying vehicles: We're confident we'll be able to get you the best and fairest price for your van or light commercial vehicle. We sell to end-users in over 100 countries worldwise and know very well what the international value of your vehicle is. Whether you are a supplier / trader or client: BAS Vans puts client satisfaction first and that is reflected in the fair price that we'll offer for your specific vehicle. 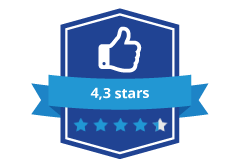 "I received a call only 30 minutes after I filled in the "trade-in form"
"Ralf responded quickly and gave me a very decent price for my vehicle"
"BAS Vans picked-up my van after just 5 days; They took care of everything"
BAS Vans is your popint of reference to sell or buy a van / light commercial vehicle. With over 250 vans in stock and ready to drive away, we're confident we can offer you the best price, a wide range of additional services and fast worldwide delivery. BAS Vans is also interested in buying multiple vehicles: If you have a group of vehicles you like to sell or trade-in, please contact us!